Sammendrag: This paper presents a solution for visualization control aimed at public displays used in a hospital setting. 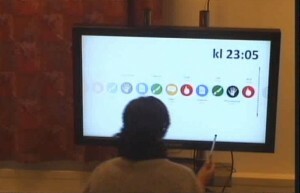 The solution controls what is displayed on a screen based on its location and the current time of day. In addition it makes risk/benefit trade-offss based on the quality and newness of the information, as well as its sensitivity and its importance for intended users. The solution can be realized by utilizing an existing publish/subscribe middleware solution. Selve artikkelen vil ikke bli tilgjengelig før en tid etter konferansen, men kan selvfølgelig deles på forespørsel. Publisert i kategorien Konferanser med stikkordene COSTT, helse, NordSec, tilgangskontroll.